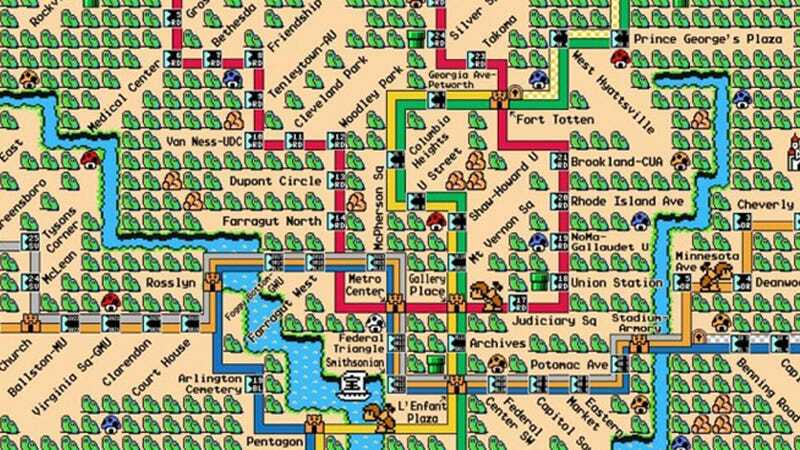 Designer Dave Delisle did a really great job recreating the Washington DC Metro Line as a Super Mario Bros 3 world map. With its 86 stations as separate levels, Washington's Metro would be an extremely long Mario game (and a damn good one, with names like The Pentagon). This is not Delisle's first such work. We reported on his previous, similar remix of the Bay Area Rapid Transit last year, and we really hope there will be a follow-up. How about the metro lines in Tokyo? Or Moscow?